The following list of seven rotary shavers was carefully selected based on user ratings, durability, price, weight, and effectiveness. The best rotary shaver is designed to trim through the thickest and most coarse hairs easily. In the end, it has to leave the skin feeling smooth. You’ll recognize a quality machine by its ability to avoid razor burns, rashes, irritation, and shaving bumps. When you are on the lookout for the best rotary shaver, you want a shaver that has precision heads. These accessories make short work of even the most stubborn hairs. The Norelco 4500 rotary trimmer works quickly on a long beard or stubble, without tugging or ripping at the hair. Perfect for wet or dry shaving, the shaver even includes a trimmer that will help to clean up the mustache or sideburns perfectly. Comfortable for shaving wet and dry. Heavier than other rotary shavers. Does not have a self-cleaning system. 2.2 x 2.2 x 5.8 inches. When you are shopping for the best rotary shaver, you want a device that has self-sharpening blades that provide the closest shave. The Norelco 2100 rotary shaver does that, and also has a head that flexes in four directions, allowing the user to shave just about every curve of the face effortlessly. With one touch, the top opens and can be easily cleaned under running water. Lithium battery for maximum power. 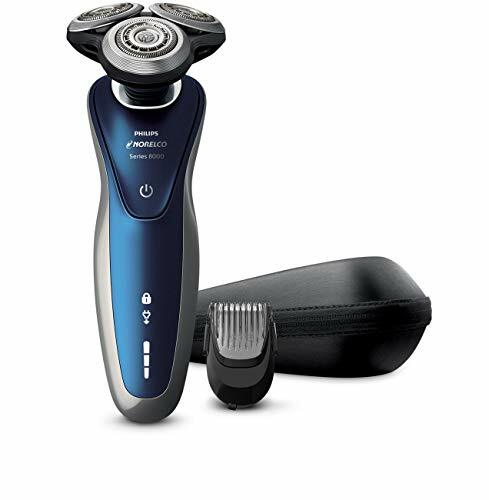 Affordable shaver with four-direction flex head. One of the heavier rotary shavers. Charge lasts for one hour. Not ideal for wet shaving. 3.5 x 5 x 9.6 inches. Includes charging cord and protective cap. 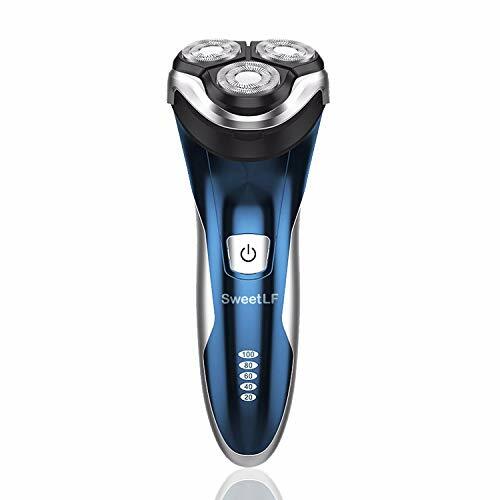 SweetLF is considered the best rotary shaver in the waterproof shaving market because it can get the job done just as easily in the shower as it would dry. 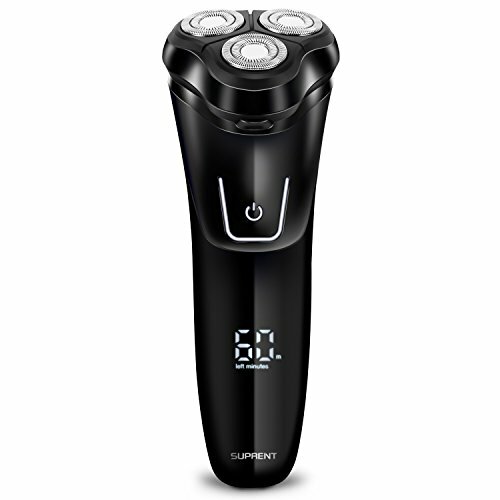 This rotary shaver provides a close and clean shave because it makes use of the four-direction floating heads that can quickly adapt to all the curves of the face and neck. The pop-up trimmer will allow the user to clean up the sideburns or mustache areas too. Full waterproof design allows the user to shave in the shower. 3.2 x 4.3 x 7.5 inches. 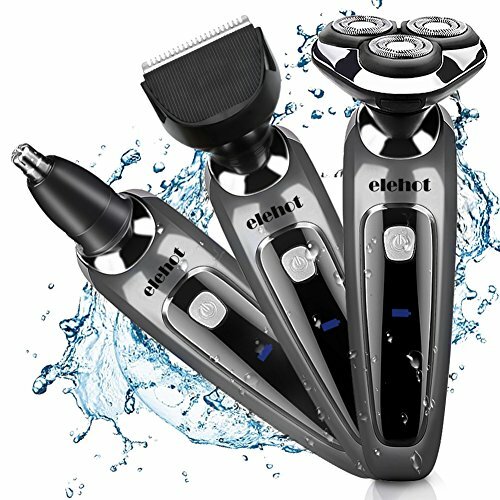 The Elehot rotary trimmer comes with five different attachments, making small work of trimming your beard and grooming the rest of your face. The rotary shaver is waterproof and can be cleaned by simply running the shaver under running water. The four-direction flex head shaving system allows the user to maintain the closest possible shave. Self-sharpening blades trim even the thickest hair easily. Includes five different shaving attachments. Can be cumbersome to hold. Looking for a clean and close shave? Many consider the best rotary shaver to be the Suprent rotary shaver because it has a 3 blade system that effortlessly moves in four directions to tackle even the thickest stubble. Perfect for the professional on the go or to take on vacation. Provides clean and close shave. Heavier than other lightweight models. Batteries tend to wear quickly. 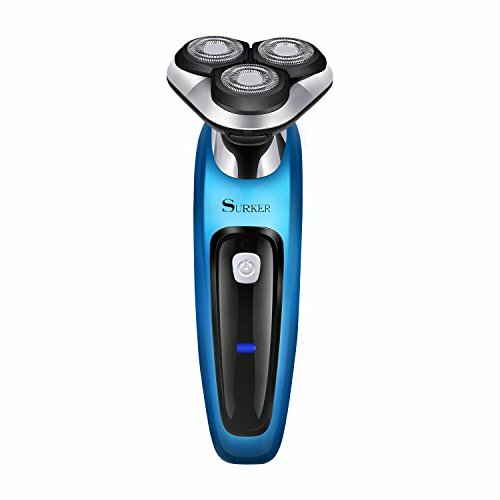 The Surker electric rotary trimmer is a 3 in 1 shaver that can tackle the beard, nose hairs, and sideburns. This rotary shaver is waterproof too, allowing easy cleanup by placing under running water in the sink. Rapid charging technology means you can be ready to go in far less time than compatible shavers. LED light warns when the battery is getting low. Designed to trim all the contours of the face and neck. 2.8 x 2.8 x 6.5 inches. Two lithium metal batteries required. Professional grade wet and dry shaver. Beard styling system with five settings. The metal retainer can break easily. 3.3 x 6.1 x 9.1 inches. When you want the cleanest possible shave without dealing with razor burn or red rashes, this list will point you in the direction of the best rotary shaver for you. If you are already using or have discovered a rotary shaver that did not make our list, please comment here so we can show our audience even more choices.